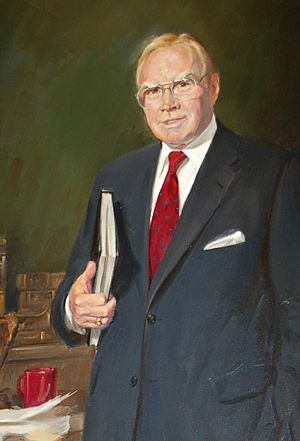 James Claude Wright Jr. (December 22, 1922 – May 6, 2015), usually known as Jim Wright, was an American politician who served as the 48th Speaker of the United States House of Representatives from 1987 to 1989. He represented Texas' 12th congressional district as a Democrat from 1955 to 1989. In 1976, Wright narrowly won election to the position of House Majority Leader. He became Speaker of the House after Tip O'Neill retired in 1987. 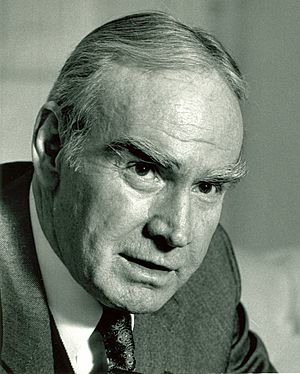 Wright resigned from Congress in June 1989 amid a House Ethics Committee investigation into compensation that he and his wife had received. After leaving Congress, Wright became a professor at Texas Christian University. House Minority Leader Nancy Pelosi, D-CA, the last Democrat to serve as House Speaker, stated, "Speaker Wright was a person of deep courage, brilliant eloquence, and complete mastery of the legislative process. Speaker Wright's strong, decisive leadership built an indelible legacy of progress, not only in his beloved state of Texas, but around the world. Wright championed prosperity for every working family, and helped lead the way to peace to Central America." The incumbent Speaker of the House, John Boehner, R-OH, stated that, "Speaker Wright understood as well as anyone this institution's closeness to the people, calling the House 'the raw essence of the nation'." President Barack Obama stated, "As a representative from Texas and Speaker of the House, Jim was passionate about investing in infrastructure, and he worked tirelessly to promote peace in Central America. Today, our thoughts and prayers are with Jim's family and friends, and the people he represented in Congress for so many years." Jim Wright Facts for Kids. Kiddle Encyclopedia.